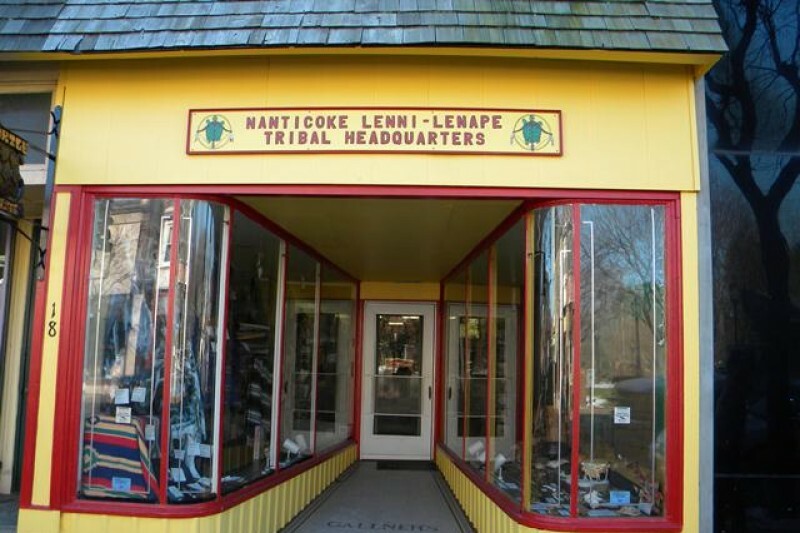 As you know, the Nanticoke Lenni-Lenape Tribal Nation is a historically documented and vibrant Native American tribe in the Southern New Jersey community. For centuries, the largest American Indian tribe in the State of New Jersey operated in a self-isolated system of government in connection with tribal churches. Since the 1970’s, our tribal leaders have brought the tribe into the public light by advocating for our tribe among non-native people and governmental agencies. In addition to our educational outreach programs among the community, we are very proud of our continuing self-governance and expansion over the last 40 years. Our tribe continues maintain its headquarters and store in the historic downtown area of Bridgeton, New Jersey, where tribal artifacts are on display to the public. Additionally, the tribe operates a community center and grounds in Fairfield Township, New Jersey, which hosts regular tribal meetings and ceremonies, a youth summer camp, meetings for the governing bodies of the tribe, its youth group and tribal elders’ group, as well as private events such as wedding receptions and repasts. Looking to the future, our tribe has started development on a tribal museum to host educational programs as well as display artifacts, artwork, and history. When finished, this museum will serve as the first and only museum in the State of New Jersey owned and curated by a Native American tribe; and the tribe hopes that it will serve as a popular destination for school groups and anyone interested in American history. Over the years, the tribe has developed a reputation for not only being a cultural and historical haven for traditions and history, but also a strong community partner in South Jersey. However, you may not be aware that the ongoing expenses to maintain these facilities have outpaced the tribe’s current ability to generate incoming revenue. Without additional support, the remaining operating funds could be depleted within two months. For several years, the tribe has relied on funding through grants, independent fundraising, and for-profit companies established by the tribe. These companies funded the staff required to run the tribal office and continue our pursuit for federal recognition, supported the office and grounds operations and expenses, purchased tribal equipment, funded the museum project, supported our youth summer camp and Youth Council, covered the tribe’s membership expenses to participate as part of the National Congress of American Indians, supported the expansion of our grounds with the land acquisition initiative, and funded our legal fees in the tribe’s current battle against the State of New Jersey, which continues to refuse to honor the state resolution recognizing the tribe in 1982. Due to our current court battle with the State of New Jersey over the state’s attempt to reinterpret our state-recognized status, the tribe has suffered a loss of grant funding, as well as increased anxiety from potential partners, banks, and funding sources resulting in a significant strain on these tribal operations and revenue streams. Our goal now is to raise funds to allow the tribe to continue to operate its tribal buildings and have a meeting space for our people. In addition to soliciting cash donations, we have planned a number of other fundraising events to help us reach our financial goals. You can find out more about these planned activities on our tribal website at http://nanticoke- lenapetribalnation.org. Since we understand that not everyone will be able to help with a cash donation, we hope you will consider donating goods or volunteer hours for some of our events. As a 501(c)3 organization, we will prove a tax receipt for all donations. Your generous donation helps us continue our tribal initiatives, while it also preserves an important asset to our community. We need the support of our tribal family, as well as the benevolence of community businesses and individuals to help us reach our goal. Please help us continue our mission in preserving our culture by considering a donation. Aftermuch difficulty our go fund me campaign is back on, please spread the word and thanks for the help. Office staff are working without pay,for now. I tried to donate through the "Go Fund Me" website and it is telling me that the "Campaign is not ready" and to "return the the Campaign." How can I donate? Since the site is not working, can you post an address that I can send a check to? I have informed other friends of the tribe about the need. They will need to know how to donate also. what type of help do you need at your events? FYI - the office is now being run completely by volunteers. It will only be open two days a week Monday and Thursday..... 10-3. Thank you everyone who has donated. The donations are still needed. Thank you CamWeb Design for the donation! We are so great full for all of your donations and prayers! Thank you Elkin Arias!! Miss you! As my mother and her cousin, in their ancestral history, verified that they, and also I am descended from the Lenne Lenape. They've both passed away. Not sure how to go about it, but I'm trying to re-find my connection. Mom said I was 1/16th. In any case, I would love to preserve my ancestral lands with this small donation. In Memory of Betty Davis Terry.